The Microsoft Dynamics Lifecycle Services team is happy to announce the immediate availability of the September release of Lifecycle Services (LCS). With the September release of LCS, we have added support, including the new buttons Resume and Roll back, to roll back packages when package application fails. When a package application fails, we recommend that you first click Resume, to verify if the failure is due to instability if the step passes on re-run. If the failure continues, click Roll back to restore the environment to a good state. When you click Roll back, the environment will be put in the state, Uninstalling package. This will roll back the code and the database to the state they were in prior to the package application. When the roll back is complete, the environment history will be updated with Rollback steps and Servicing steps. If the roll back fails, you can use the Abort button to manually restore the environment to a good state. Previously, to save binary updates, you were required to first download the update and then upload it to the project’s Asset Library. 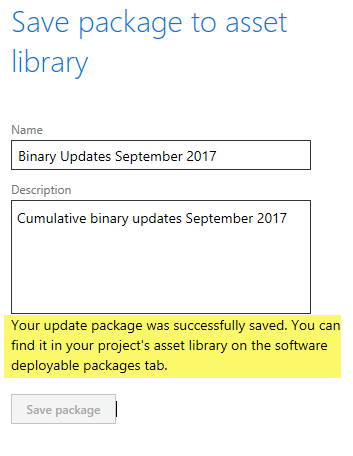 In the September release of LCS, you can save binary updates directly from the Update tile to the project’s Asset Library. 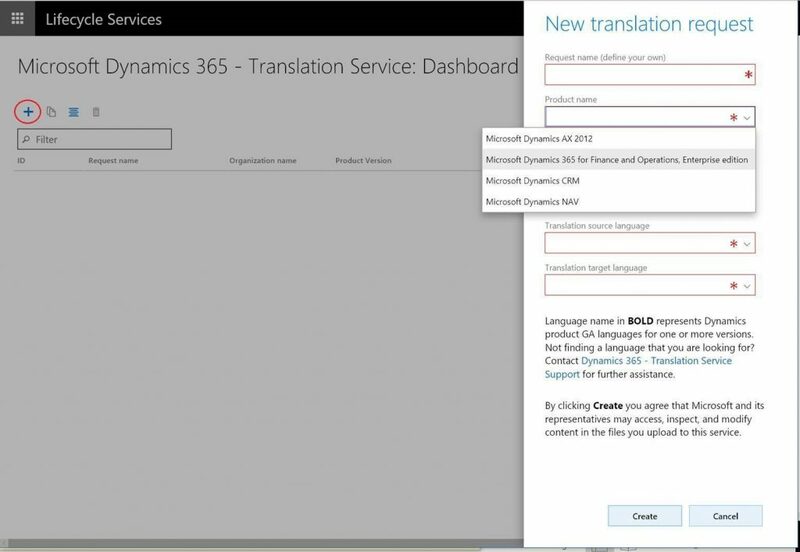 You can now access the Dynamics 365 – Translation Service directly from the LCS home page without first entering a project. You can still access the service from within a project as before. 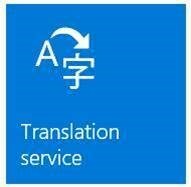 Additionally, we have updated the look of the Translation Service tile as shown below. When you click the tile, the Service dashboard will open. Note that the dashboard you enter from the LCS home page will show your requests, including any requests you make through a project. No one else can see the requests you make through this dashboard. 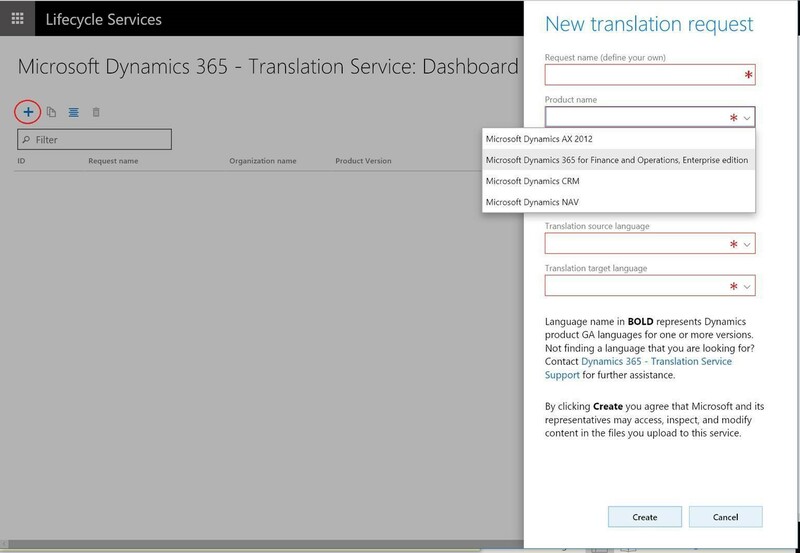 From this dashboard, click the + icon to create a new translation service request for any product that the service supports. If you are a partner who works with multiple products, you can manage the requests for multiple products in the same dashboard as shown below.